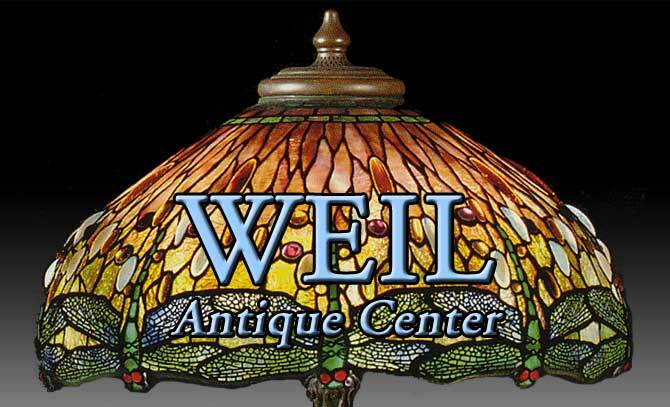 Welcome to the Weil Antique Center. We are the Lehigh Valley's premiere antique center with over 150 dealers displaying quality antiques. We feature furniture, clocks, jewelry, china, lamps, linens, memorabilia, retro, pottery, books, toys, primitives, vintage clothing, postcards and much more. Located just off Route 78 (Lehigh Street Exit #57) on 31st street SW is a center that has something for everyone. Weil Antique Center, located inside a large converted warehouse, opened in November of 2002. It has grown to house over 150 antique and collectible dealers. These dealers are some of the finest in the Lehigh Valley.